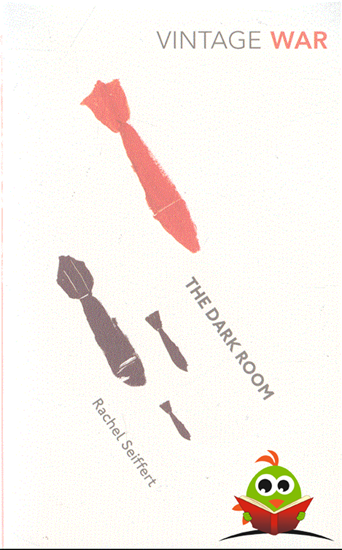 The Dark Room is a careful study of three Germans affected by the Second World War: Helmut the young photographer with the deformed arm; Lore the 12-year-old who manages to get her refugee siblings to Hamburg in 1945; and Micha the young teacher who pursues the truth about his grandfather's war years 50 years later. Seiffert writes about the "real, everyday people", about the ones who didn't actually "do it". She writes chronologically, from Helmut's birth in 1921 to Micha living in Germany in 1997, and widens the time-frame with each story. Helmut is unable to join up because of his weak arm--his parents become ashamed of him in Nazi Germany. Yet by taking part in the last-ditch stand against the Russian invasion of Berlin in 1945 he is at last happy. His story, represented through his tiny photographer's lens, is indicative of his own narrow vision. Seiffert widens her view with Lore, and her encounter with Thomas, a young man who has blue-smudged numbers up his arm and (false) documents saying he is Jewish. As a well-off 12-year-old, whose father was in the Nazi Party, Lore too is at first oblivious to the effects of the war on others. She tries to believe that the pictures the Allies pin up of the Jews in the camps--whether alive or dead--are American actors. Micha's story, raking over the past and with the advantage of hindsight, well-documented history and the public German admission of guilt, feels the most raw and truthful. Seiffert writes delicately and plainly, making clear that it is not just the Jewish or Nazi experience of the Second World War which is valid, but that a whole country was involved, and is still affected by it. The Dark Room reminds us again that every person's experience is unique, and every person's heritage (whether German, Byelorussian, American or Jewish, Christian or atheist) will always be unique to them.